Since joining Special Olympics New York, Alyse Mackey’s life has changed immensely. She feels more social with others and her proudest moment was being selected for the upcoming Special Olympics World Games Abu Dhabi 2019. 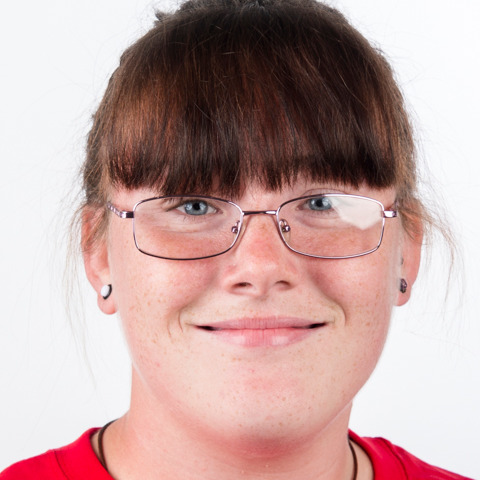 Alyse has also attended the 2014 Special Olympics USA Games and is looking very forward to going to another country. Alyse competes in the high jump which she loves because it encourages athletes of all abilities and ages to compete at their optimum level. Alyse trains three times a week and her goal is to increase to five times each week. Her role model is Mat Longo, and just like him, they both have an interest in helping their teammates to do better. If Alyse wished to change the world for the better, she would make it cleaner. She currently works at Creator Kids Richmond which is a child care facility and has been employed there for two years. Her outside interests include bowling, hanging out with friends and collecting pop figurines.